Magic Makers is the first organisation in France providing creative programming workshops for young people aged 6 to 15 years. The company has developed its own teaching method, with innovative tools and activities tailored for the different age groups, based on the work of the Massachusetts Institute of Technology. Today, it has 26 training locations in France. In 2014, engineer Claude Terosier wanted to enrol her children for an IT training course. She discovered that there were no programming workshops for children in France, and decided to launch Magic Makers to fill this gap. Inspired by the Montessori method of education, the teaching encourages real curiosity about programming, by revealing the mysteries of code, the laws of robotics, the principles of artificial intelligence, etc. Magic Makers offers three kinds of training: weekly 90-minute workshops where children and teenagers can learn to code, create and invent; week-long holiday courses where children and teens can choose between building a website, programming a robot and developing a video-game; and discovery workshops in which children can try several activities. Beyond developing knowledge and skills, the teaching aims to make children more independent, entrepreneurial and creative, and to build their self-confidence and teamwork abilities... in short, to prepare them for the world of tomorrow. 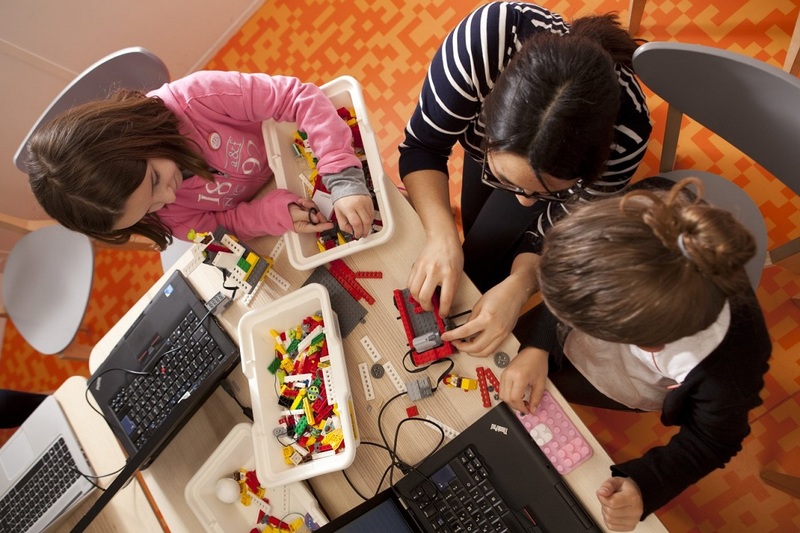 The start-up’s educational goal: to develop a digital and innovative culture from a young age. To achieve this, the workshops focus on five themes: experimentation “I learn by making mistakes”; sharing “ I have ideas and share them with others”; reasoning “I am proud of what I do”; invention “I am here to create”; and fun “I come because I want to”. Since the creation of Magic Makers, over 10,000 children have taken part in a workshop, and in 2018, 1300 children came every week to one of its 6 wholly owned centres or 20 partner locations, in Ile-de-France and the Bordeaux region. Magic Makers also works in schools, with specific initiatives for children experiencing difficulty in education. Coding training is also available for teachers, particularly via the Class’Code project, run in partnership with Inria and OpenClassrooms, as part of the Future Investments Programme operated by the Caisse des Dépôts. Magic Makers raised 3 million euros in June 2018, with the ambition of providing 200 training centres in France in the next 5 years. Claude Terosier, who founded this start-up, won the 2017 Madame Figaro Business With Attitude award, for which the La Poste Group is a partner. For more information, visit the Magic Makers website (in French).